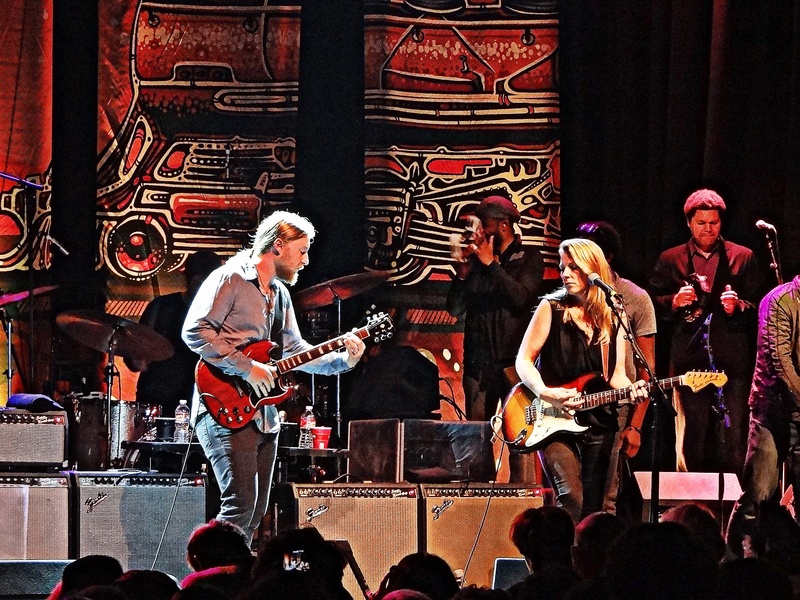 On Saturday night, Tedeschi Trucks Band wheeled through downtown New Orleans for a weekend showing before a sold out crowd at the newly-refurbished Joy Theater. The over two hour show was remarkably varied and eclectic, channeling through heavy-charging blues, rock, soul, funk and traditional NOLA brass fare. TTB dug into their studio catalog before trading lines on Derek Trucks Band’s “Mahjoun” with special guest Big Sam Williams (Big Sam’s Funky Nation) on trombone. Later Tedeschi led the charge teasing out Grateful Dead’s “Sugaree” before closing out the proper set with “Bound For Glory”. After a brief encore break, the polished ensemble returned and capped off the night with a pulsing and uber-funky take on Sly and the Family Stone’s “Sing A Simple Song / I Want To Take You Higher” that absolutely blew the gaskets off the 1947 Canal Street playhouse and sent everyone out smiling.